Work Smarter Not Harder with Hand Trucks! Hand Trucks made in the USA are not hard to find. There are many large and small manufactures that crank out some really well made hand trucks. Some of the largest are Milwaukee Hand Trucks (not to be confused with the tool company) , B&P out of Cadillac Michigan, and Harper out of Wichita Kansas. There are of course many more but I will keep the focus on these three for the purpose of this article. The competition has been pretty fierce for many years between the major hand truck mfg’s. Harper hand trucks is a major player in the hand truck industry focusing on mostly steel hand trucks. The catalog ranges from small folding carts to monster appliance hand trucks. They cover all the bases which also allows them reach a larger consumer slice of the pie. You can find Harper hand truck in large box stores across the nation but with a limited selection. Most consumers looking for a hand truck for home use are going to need a huge hand truck or want to spend a lot of money for one just for a once in a while use. The quality of Harper Hand Trucks is very good. Nice welds and components are used to construct all of their hand trucks. Milwaukee hand trucks have been around for a long time. Many get them confused with the Milwaukee power tool company but the are not the same. Milwaukee hand trucks are very similar to Harper and they often copy one another. Again like Harper you can find Milwaukee hand truck sold across the country in stores but again with a limited selection. The craftsmanship of a Milwaukee hand truck is great. Their welds and materials used are usually high quality. 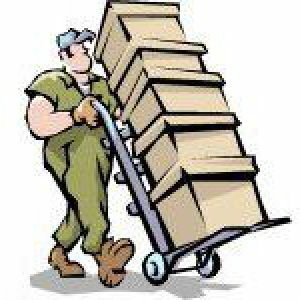 Hand Trucks in box stores like (Lowes, Home Depot, Sams, BJ’s, Costco) are often not the best hand trucks put out by these manufacturers. In order to keep cost down they use cheaper parts and materials you might find from a Chinese import. This is where these manufactures start to fail. B&P Liberator Hand Trucks. This is the Cadillac of aluminum hand truck on the market today. B&P is by far the absolute best at what they do when it comes to quality of construction and materials used. They are innovators in the hand truck industry and have the attention of thousands of companies needing and wanting their products. Hand Trucks R Us has been selling B&P hand trucks for nearly 15 years. You will not find their hand truck in your box stores. You can find them at small local material handling stores across the US and online at Hand Trucks R Us.